Cheese and wine, whisky and cigars, Morecambe and Wise, some things are just meant to go together. 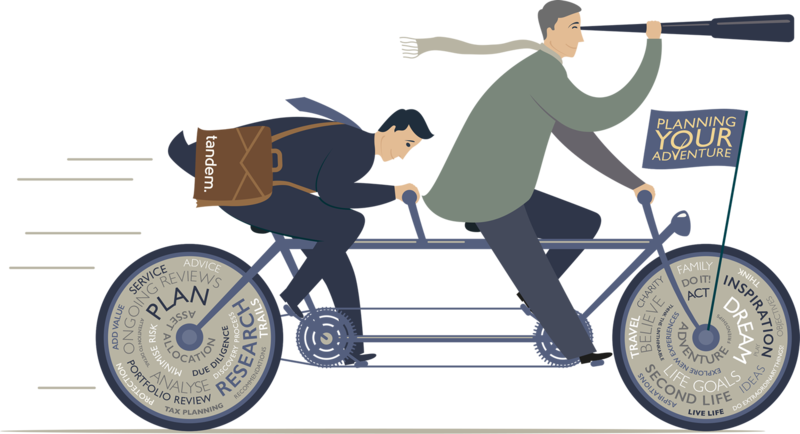 That is why we have introduced ‘Planning Your Adventure’ – the perfect partner to the Tandem service. We are here to do the pedaling. Now it’s time for you to plan your adventure! Money is important, but life is so much bigger than money. Life is about, family, friendship, adventure, experiences and so much more. These are the kinds of things that make life truly rich. 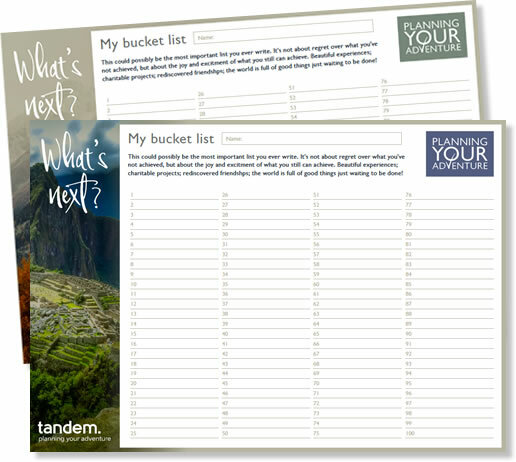 At Tandem Financial, we created Planning Your Adventure because we wanted to help our clients look beyond their finances. Our hope is that you will use the resources and materials on this site to find inspiration to start your own adventure. Discover more about Tandem Financial, how it exists to build relationships of trust, give the best financial advice and services, add real value and help you make smart choices with your money.